In February, 2006, Epson filed a complaint against 24 US, Korean, German, and Chinese companies that were importing and selling ink cartridges violating Epson’s patents. In March, 2007, The U.S. International Trade Commission issued the Initial Determination that found all 11 patents belonging to Seiko Epson Corporation to be valid and all ink cartridges at issue to violate one or more of the patents. The other day, the ITC issued what they call a Final Determination to support, with slight moderations that don’t change the outcome, the Initial Determination. The ITC also prohibited import of all guilty cartridges into the US, as well as sale and distribution of those cartridges in the U.S. by certain domestic companies. The Final Determination is now to be review by the President within 60 days, to decide if there are any reasons to disapprove the Final Determination. During the review period, importers may continue to import infringing cartridges into the US only if they post a bond of $13.60 per cartridge. If the President does not disapprove the Final Determination, then all importers must cease importing infringing products entirely. I wonder what this “does not disapprove” is. Does it mean that EXPRESSED agreement of the President is NOT required or something, and if the Determination simply lies on the President table (or wherever such documents are kept) for 60 days, it will automatically come into effect? Either way, it doesn’t look good for both ink cartridge importers and ink cartridge buyers – no profit for the ones, no cheap inks for the others. Konica Minolta Business Solutions introduces an addition to its next-generation bizhub range of multifunctional – the bizhub C203, C253 and C353. 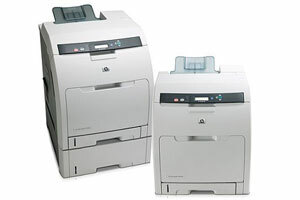 Konica Minolta bizhub C203, C253 and C353 have network printer, copier and network scanner functionality as standard with a Super G3 fax module option. The only difference between the new models is the speed of printing – 20 ppm for bizhub C203, 25 ppm for bizhub C253 and 35 ppm for bizhub C353. Each printer perform equally fast in both color and black-and-white. The design of the multifunction printers features a LCD color 8.5-inch display, with a touch screen that can be both rotated and tilted to suit a desired position. The new bizhubs have a range of features that limit access of unauthorised users to functions such as color, scanning and single sided printing. The features include user authentication by user name and PIN, and the option of fast biometric authentication via finger print, or a contactless user card. 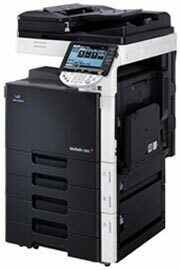 The three new Konica Minolta bizhubs support auto duplex for printing A4-sized pages on both sides. The new multifunctions feature slit scan technology that can scan originals as fast as up to 70 color or mono sheets per minute at 300 dpi resolution. Konica Minolta’s patented Simitri HD Polymerised Toner is used in these machines for more even distribution, significantly better fine line definition, and better solid fills and overall quality output. The bizhub C203, C253 and C353 are available with a range of high productivity finishing options including sorting, stapling and saddle stitching. Canadian Broadcasting Company sponsored its own study on that issue. The research was conducted in three different locations in Winnipeg by placing particle monitors above printers in the offices. Basically, the results of this new study support those of the Australian study: laser printers do emit ultra-fine particle in large volumes. In the three offices, 20 to 42 per cent of all printers tested were found guilty of polluting the air. 27 per cent of the printers in that study were considered high emitters, or printers that emit more than 10 times the UFP than was found in the ambient air. The amount of UFP concentrations returned to normal levels within one to two minutes after reaching its maximum. Breathe deeply, no reason to panic yet. 27 per cent is not “most,” it’s just “some” printers. Besides, simple precautious measures of ventilating your room and sitting away from working printer, will make you heart and lung serve you longer. Once upon a time, printers were printing devices no different from a typewriter in terms of security. As years lapsed, time printers have become more sophisticated, network-enabled devices with hard drives and even operating systems. Pretty much like personal computer. And people keep on taking printers for what they actually are – devices that produce images and texts. However, modern printers, especially if incorporated into organization’s computer network, can compromise the network security. Printers became as dangerous as computers – they, too, are vulnerable to hackers attacks from inside and outside, and are good place for viruses and other malware to reside. This is what many security expert say and few printer users realize. 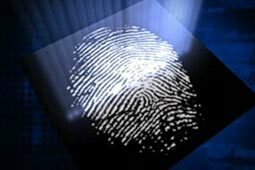 In an afford to addressed this issue, Hewlett Packard announced Secure Print Advantage – a new printing security system. According to the company, Secure Print Advantage is the industry’s first hardware-based security solution to minimize business risk. Secure Print Advantage a actually a set of devices that encrypt and decrypt data transferred between the workstation and the printer using government-grade FIPS 140-2 Level 4 encryption, maximum level of security encryption. The system consists of modules installed in the user’s desktop or laptop, Secure Printing Modules and the Secure Document Server. Module of the user’s workstation encrypts the outgoing data and sends it to the Secure Document Server. The server then scans the document for malware, re-encrypts it and either sends it to a Secure Printing Module or to another user. The Secure Printing Module, in turn, decrypts the information and transfers it to the printer. The printing module can also be equipped with a keypad or card-reader to ensure that only an authorized user prints the document. The system will be available on the market in February, 2008. HP didn’t announce the price yet, but the system is said to be expensive, thus affordable only to those companies where high level of security is vital. One day we are going to sink in the ocean of printer-produced pages, or, rather say, be buried under mountains of such pages. And Britain would to take the impact in the first place. In 1975, Business Week magazine predicted a paperless office. Recent studies show this proves to be an exaggerated prediction. The number of printed pages is somewhere between 2.5 and 2.8 trillion worldwide and is predicted to go up within next 10 years. A study done for Xerox shows that British office workers throw away almost half of what they print during a day. That equals over one trillion (million of millions) pages a year. Most of the wasted printouts are one-time use like drafts or e-mails; some printed pages hardly last 1 minute. Another survey, this time done for Fujitsu-Siemens, reveals that British offices print up to 120 billion pages every year, 22 pages a day per average office worker. It’s said that such amount of paper would make a mountain more than 8,000 miles high. You can do the calculation yourself: a pile of paper 1-inch high holds around 250 sheets. Experts say people are often too careless and, probably lack some corporate guidelines, when it comes to printing practices. The increasing number of printed pages, while being a source of waste and pollution, has another side. Vyomesh Joshi, Executive Vice President for HP Imaging and Printing Group, says in an interview that 49 trillion pages will be produced this year, and 53 trillion in the next two years. He complains that only 800 billion pages (1.6 per cent) are produced using HP printers. The number of printed pages goes up and, as an HP research shows, more and more printing is done directly from the Web: this year’s 48 percent are expected to reach 60-70 percent next year. The company sees this as an opportunity to increase its share of the market. With development of the Web, HP pays attention to online areas adjacent to printing. The company acquired the SnapFish photo service, now accounting 45 million users, and more recently acquired Tabblo, which allows user to more easily organize and print text, graphics and photos from the Web. Web is good, waste is bad. If you want something more material than images on your screen, but the idea of polluting the planet with printed pages does not excite you, here is news. Brother (the one that makes printers, faxes and sewing machines) introduced a new ink jet garment printer. The Brother GT-541 uses ink jet technology that prints on variety of garments in high quality color directly from a computer. The company claims the ink jet garment printer is simple to operate, just like a desktop printer, and can be networked with multiple units. According to the Brother, this printer suits well for making money. See, it only requires 50 cent for the ink and $1-$2 for the t-shirt, which can be sold at $15-$30. Great deal, isn’t it? Besides, the GT-541 eliminates all set-up, tear-down, clean-up, screens, squeegees, or pallet adhesive typical for traditional screen printers. The printer uses water-based pigment ink of 4 colors (cyan, magenta, yellow and black) to imprint as big images as 14 x 16 inches at 600 x 600 dpi resolution. Being so good, the GT-541 yet has one downside – for a relatively small (approximately 4 x 3 x 2 feet) printer it weights just good 220 pounds! On the other hand, such devices are not to be carried around. For those of us who believes the only possible printing is high-definition printing, Epson introduces a new A3+ (13×19 inches) photo printer. The Photo R1900 implements a “groundbreaking” technology that allows for “smoother images and color control” coupled with UltraChrome™ Hi-Gloss2 Ink. The UltraChrome™ Hi-Gloss2, apart from common cyan, magenta and yellow inks, also features matte black, photo black, red, orange (replacement for blue) and gloss optimiser. Another innovation in this printer is the Look Up Table (LUT). This table is used to determine how much of each color is required to make a print from a RGB source file. The mathematical algorithm makes sure a printed image matches perfectly the original. The Stylus Photo R1900 supports Epson’s Variable-sized Droplet Technology, increased range of media in cut-sheet and roll formats, printing on CDs and DVDs, direct print via Pictbridge. A bundle of software, Epson Creativity Suite, is also there featuring Epson Easy Photo Print, FileManager, Web to Page and Camera RAW Plug-in. 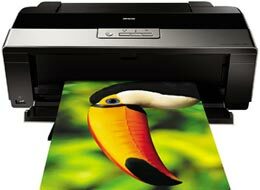 The Epson Stylus Photo R1900 will be available from November 2007 at a price of £399.99 ($820). The continuation and, obviously, the end of the story with HP false advertisement. In the advertisement of LaserJet CP3505, HP claimed the printer “only require replacement toner throughout its life. And nothing else”. This gave Kyocera grounds to bury HP to Advertising Standards Agency, which found that the claims were untrue, because each toner cartridge also included attached drums and consisted of around 60 individual parts. Cartridge for LaserJet CP3505, apart from toner, contains around 70 per cent of the printing mechanism, including drum and cleaners. HP admitted the advertisement was basically wrong and removed the questionable phrases from it. American scientists please us with another achievement in printing technology. They found a new method printing finely-detailed microscopic images with an enzyme instead of ink. The new method known as microcontact printing and reported to have a wide application for rapidly transferring high-resolution images onto large surfaces. However, current nanoscale printing technology depends on the diffusion of ink, and cannot reproduce details finer than one hundred nanometers in diameter. In the new technology, “biocatalytic microcontact printing”, a nano-print is coated with an enzyme – a protein that fastens chemical reactions. The enzyme then digests away a layer on the surface, leaving behind an imprint almost like an old-fashioned rubber stamp. Because the process does not require diffusion of ink, the resolution of microcontact printed images is about 100 times greater than conventional technology allows for. The technique creates potential for faster, less expensive methods of nanolithography, which could be used to create complex structures for micromachines, biosensors, and other nanoscale devices, says Science Daily.